HISTORY: Handbook of Texas Online: "... is on the Nueces River at the intersection of Farm Road 335 and State Highway 55, twenty-four miles southeast of Rocksprings in southeastern Edwards County. 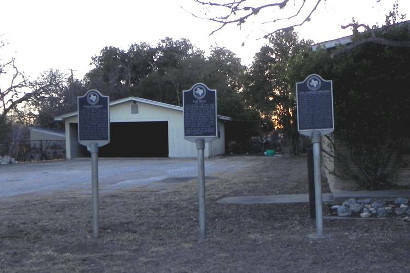 The community is named for Lewis Barksdale, who patented a league and a labor of land in the area in 1847. Settlers moved into the area in the 1860s, and Barksdale moved to the site of the community in 1869. A settlement gradually developed there, and in its early years the community was called Dixie, for nearby Camp Dixie. 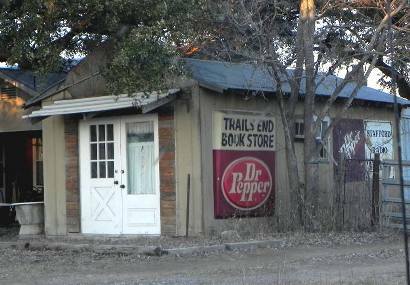 By 1880 Dixie had a saloon, a hotel, and a small store. When the community applied for a post office in 1882, its residents were told that another community named Dixie had already secured that name, so citizens selected Barksdale as the name. In 1884 the community had a population of twenty, and by 1890 Barksdale had two general stores and a grocery. School was held in a small house until a school building was erected in 1887; the new schoolhouse doubled as a church. Over the next two years a gristmill and a cotton gin were built in the town, and by 1900 Barksdale had 106 residents. The community received telephone service soon thereafter, a Baptist church was built in 1906, and a bank opened in 1907. Barksdale's population was estimated at 200 through the mid-1940s. In 1948 the town had a school, a church, and five businesses, but by 1950 its population had fallen to an estimated 150. A Methodist church was built there in 1950, and a new high school building was built in 1957. By 1973 Barksdale consisted of the high school, two businesses, several dwellings, and a cemetery, and its population had fallen to seventy-one. The town grew dramatically in the late 1980s as a number of housing subdivisions were built there. 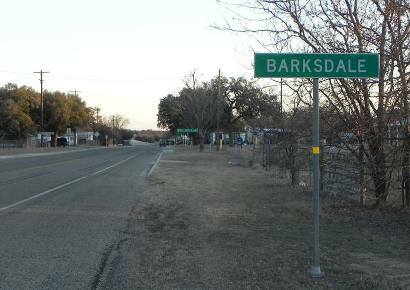 In 1990 Barksdale had 617 inhabitants and six businesses. By 2000 the population grew to 1,081 with sixteen businesses." Founded 1860s. Named for Lewis Barksdale, an early settler. LOST CANYON RETREAT CENTER: 830-234-3250; Barksdale, TX 78828. Located on the outskirts of Barksdale. Groups welcome to this ecumenical retreat. Quietness, cabins, and a river view. NUECES RIVER MOTEL: 830-234-3648; TX 55, POB 145, Barksdale, TX 78828. Located N of Barksdale by the river. Doubles and kitchenettes available. BARKSDALE FREEDOM FARMS 830-234-3284; POB 44, 202 CR 360, Barksdale, TX 78828. www.freedomfarms.org. A place for you and your horse to spend the night, rest, and trail ride. Indoor and outdoor arena with facilities for overnight horse accommodations. The human overnighters can stay in one of the rustic cabins. Dedicated to sharing the Gospel. Christian horse camps, lessons, and Cowboy Church services take place during the year. Christian Summer Horse Camp, July-Aug: Instruction in Barrel Racing, Poles, Safety, & Horsemanship, Bible Study, Swimming, Trail rides, Hiking, Archery, & More. 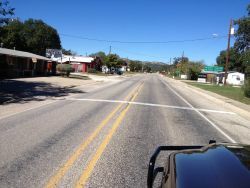 CAMP FAWCETT FOUNDATION: 830-703-0528; 508 S High St, Uvalde, TX 78801. www.campfawcett.org. 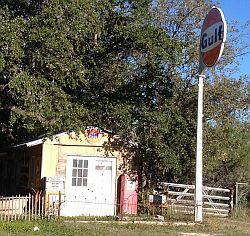 Located in Barksdale (about 1 mi from town), and established in 1928; oldest Scout camp serving youth in Texas. 830-234-3514; 200 Taylor St, Barksdale, TX 78828. "Panthers", Blue and White. UIL: Conf 1. Mid and high school facilities and administration. See Camp Wood for elementary school and sports facilities.